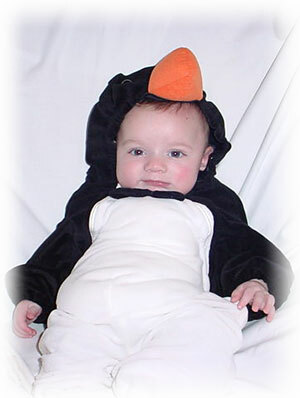 We can outfit your little penguin! We are the area's in-stock formalwear shop with over 1,000 tuxedos in stock. Jerry's Tuxedo Den and Mr. Penguin Tuxedo have been serving the area over 34 years with the first in formal wear Bridal and Bridesmaids dresses are also available. We specialize in individual rentals and group sales. Please phone for an appointment at 270-444-6520 or come by our store at 303 Broadway always downtown Paducah. Please link to our friends at www.jimsformalwear.com to view our many choices of tuxedos.